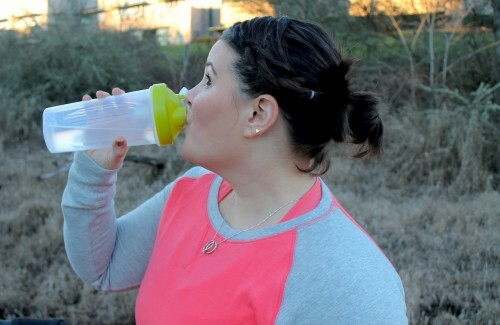 This week I have been snacking like crazy, probably because we haven’t done any real grocery shopping in a few days and our CSA is starting to die down. 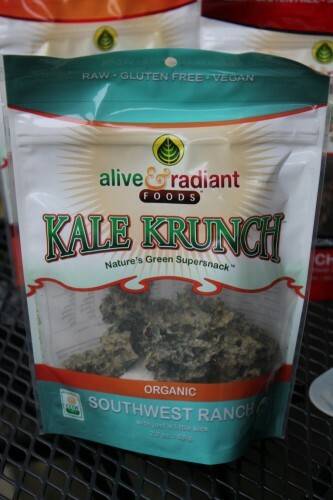 My favorite snack of the week has been these Alive & Radiant Kale Krunch (Chips). Neil and I finished off all three bags within 48 hours of them being in our home and probably would have eaten more if we had them. 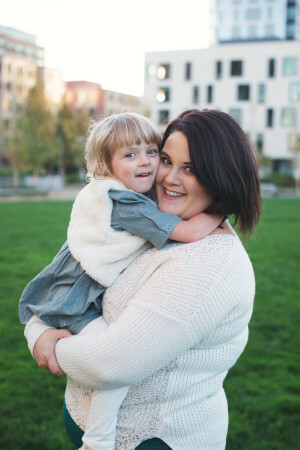 I am a lover of kale chips and I love to make my own but I am guilty for buying them every so often when I’m at the market especially now that there is a baby at home and not as much time to cook. 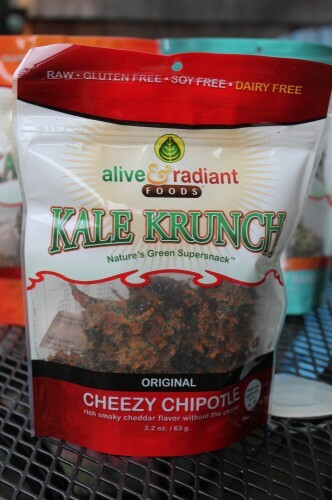 Alive & Radiant Kale Krunch (Chips)have to be the best kale chips I have ever tried and I have tried a number of different brands. The packing kept the chips nice and crispy, the stems were all removed (problem I’ve faced with other brands) and they were nicely coated with delicious seasonings. 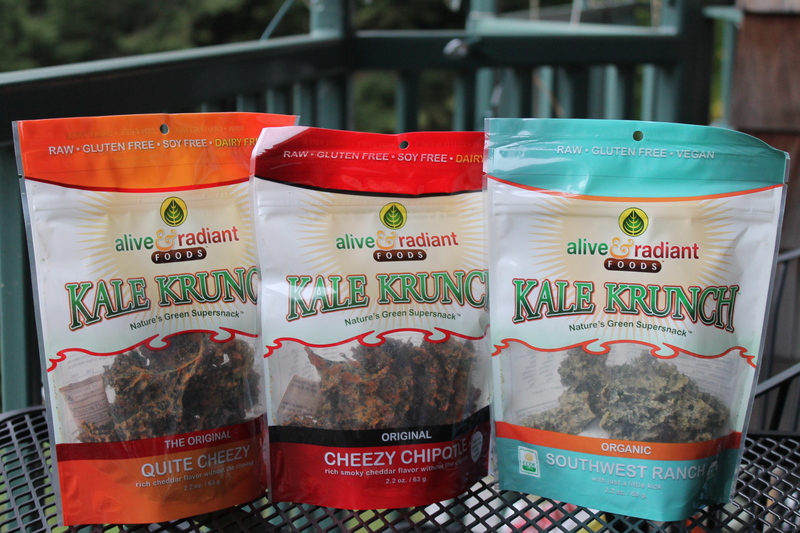 Alive & Radiant Kale Krunch (Chips) sent me their Kale Krunch Quite Cheezy, Kale Krunch Southwest Ranch, and Kale Krunch Cheezy Chipotle. They also have a Tarragon Dijon, Chokalet Chip, and Spirulina Orange Creamsicle which I am dying to try but I can’t find around here. What are your favorite kale chips? 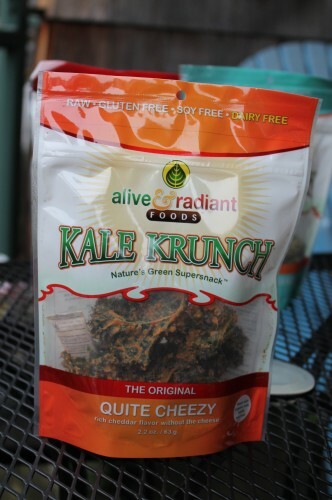 Have you tried these Kale Krunch chips? If yes what is your favorite flavor and who wants to send me some tarragon dijon? I’ll swap you something else! !